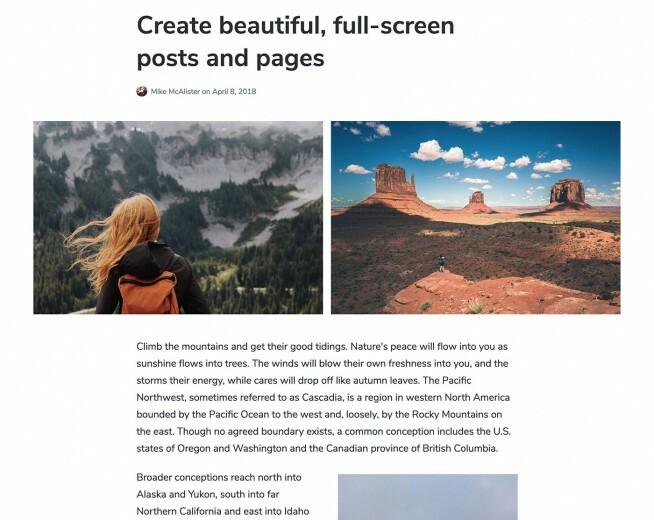 A free, lightweight, and fast WordPress theme that can easily be turned into different page styles and layouts. 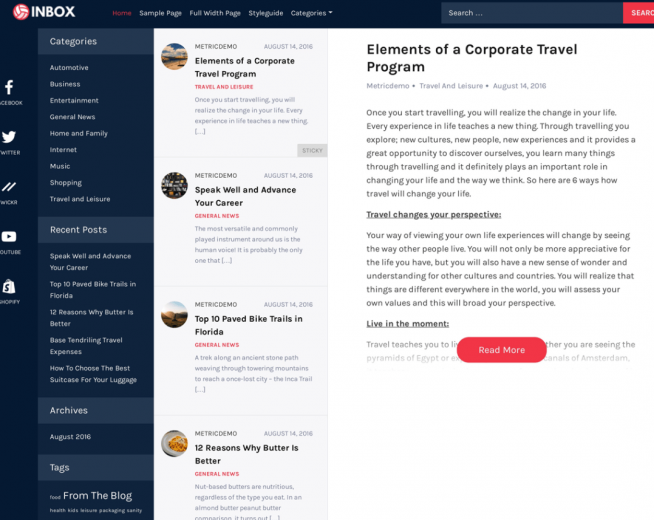 It comes with a bunch of useful shortcodes and demo content. 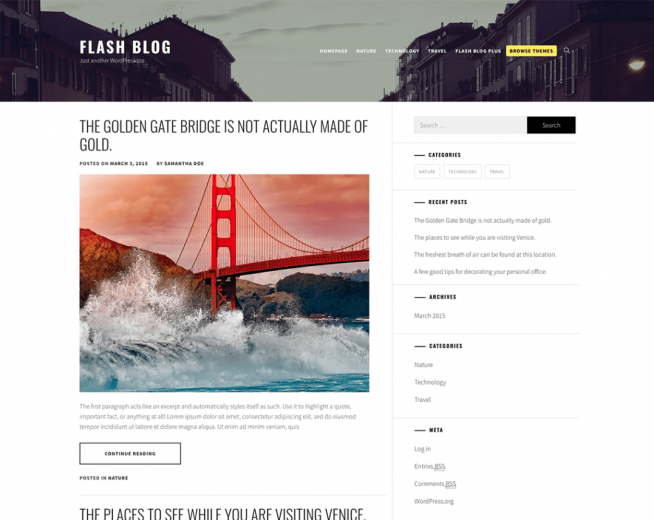 If you want to find out about the possibilities of this theme, please visit the theme website. 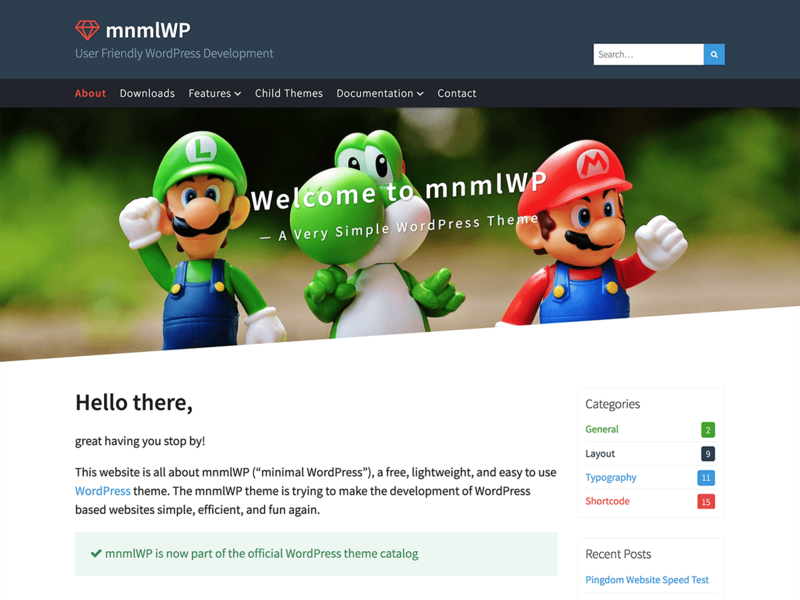 The mnmlWP theme generates very little overhead. 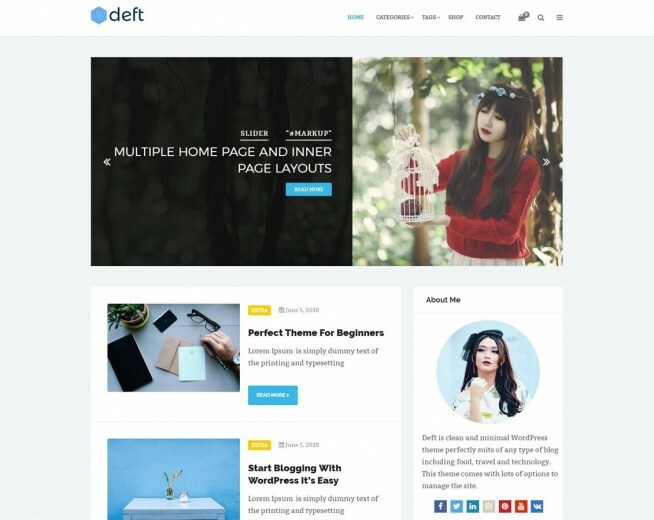 Websites built with mnmlWP are fast and efficient. 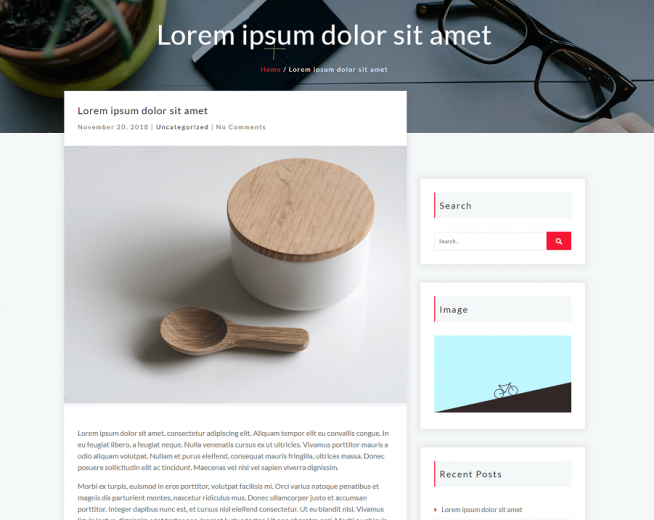 The mnmlWP theme design is 100% responsive. No matter what device, the layout will neatly adapt to the available screen sizes. 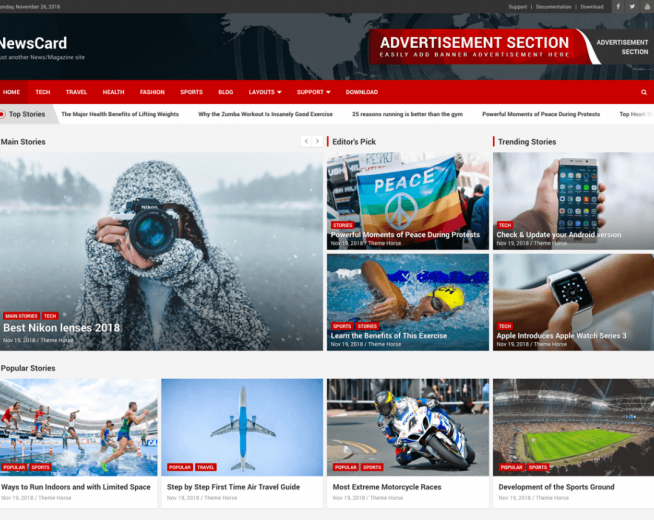 The mnmlWP theme uses the internal WP customizer and allows you to configure your theme’s look and feel according to your individual needs. 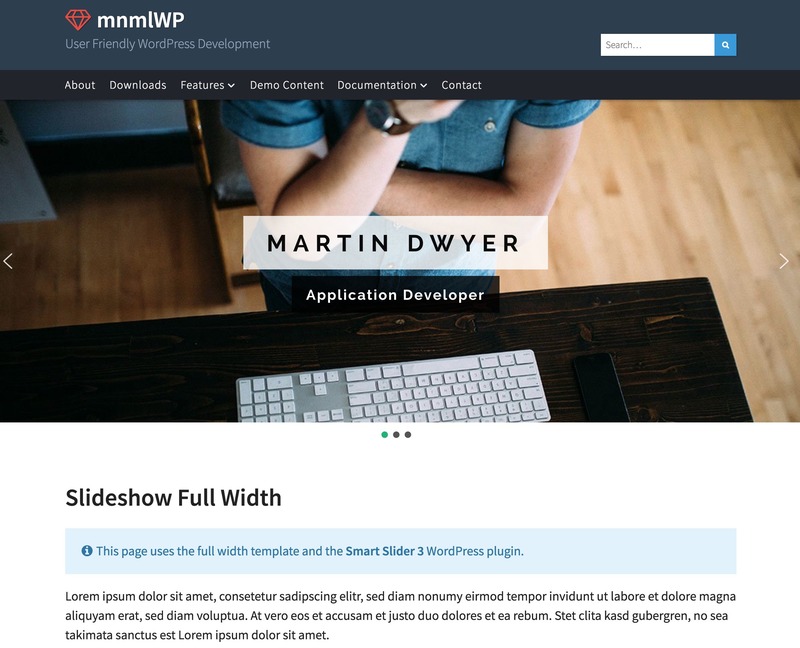 The mnmlWP theme is ready for internationalization and includes English and German (formal and informal) language files for both frontend and backend by default.